The small sportsbike segment is a very juicy segment. In India less so because some of the more attractive motorcycles like the Kawasaki Ninja 300 are not assembled here and prices are astronomical compared to the 250s that are made here like the Honda CBR250R. Obviously the price difference is stark not only because the former is assembled and the latter isn't but also because the Honda is a single-cylinder while the Ninja is a twin. As an R&D boffin from a manufacturer told us a few years ago, the transition from a single to a twin might seem like the simple addition of an extra bore, piston, valve set etc. In practice, however, the cost implication is much, much more severe. In his opinion, it nearly doubles the cost. But there's more to this story than that. In most parts of the world, all the motorcycles in the table below compete with each other on price. It's only in India where the singles are significantly less expensive than the twins. 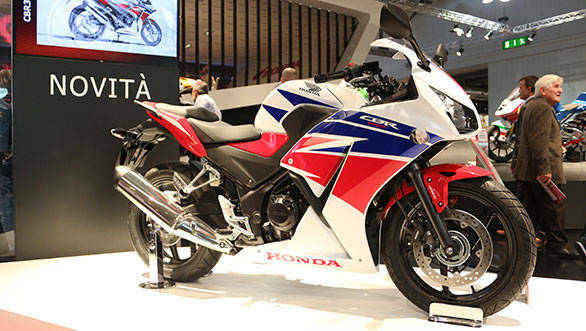 The odd one out is of course the Honda CBR300R. 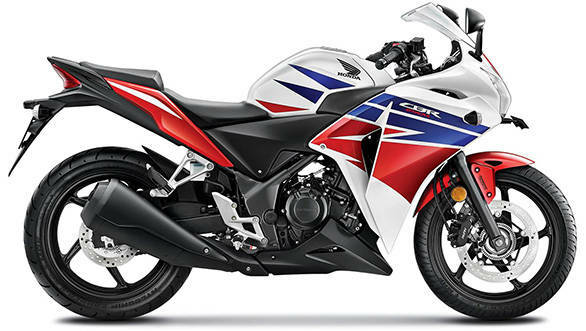 Honda India, in our opinion, is being extremely shortsighted and dismissive of the Indian motorcycle enthusiast by continuing to push the CBR250R in India. Not only are its sales dismal, the fact that it has been either updated or replaced by the 300 in most markets makes it look like Honda simply doesn't care about the Indian enthusiast. The new machine entering this fray, of course, is the Yamaha YZF-R3. What we don't know at this point is whether it's going to be made in India - which is what we are hoping for - or assembled here. The reason why that matters is simple - it drastically changes Yamaha's abilities to price it for india which in turn determines how many enthusiasts have their dreams fulfilled and how many will remain desperate for an affordable multi-cylinder sportsbike. 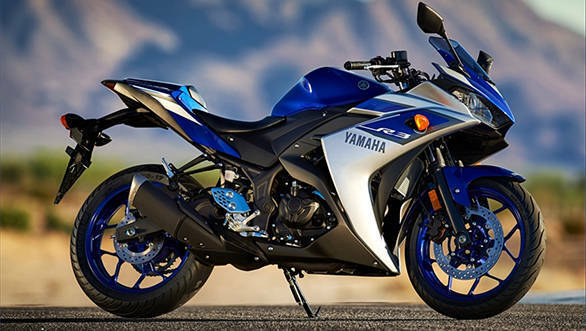 But first, let's look at the specification and see what the Yamaha brings to the table. We shall come back to pricing later (Prices have been updated in the table below). The Yamaha R3 goes to mature markets like Europe and since the R3 isn't designed to fit into any race class, Yamaha have done the right thing by playing fast and loose with its displacement. Unlike the strictly 250cc R25 (which goes to emerging markets like Indonesia), the R3 displaces 321cc. That makes it the second largest engine in the small sportsbike class and the largest twin cylinder too. You can use extra displacement or extra cylinders to achieve two things. You can make extra power or you can make extra torque. Or you could just back off to make reasonable performance while leaving the powertrain feeling ever ready and unstressed. In effect, by the spec, the Yamaha should be a firecracker. It beats the Ninja's torque and power outputs by 3PS and 3Nm respectively. But two things to note - Yamaha manages to bring both peaks earlier than the Ninja while keeping hand a 3kg weight advantage as well. The Ninja 300 makes an excellent all-rounder and the Yamaha should too. The R3 reportedly has relatively relaxed ergonomics, especially compared to the KTM which is the hardest-core sportsbike of this lot. Combine that with a little more zip and zing than the excellent Ninja and we're excited. 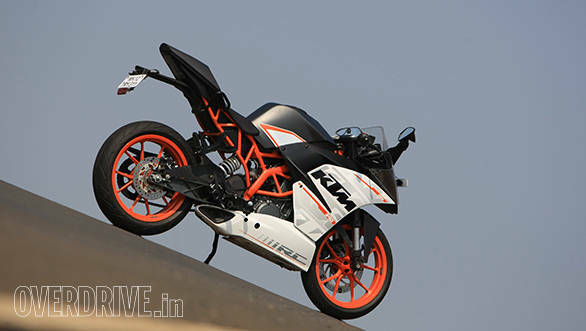 The modest power difference from the KTM suggests an unstressed feeling engine (think R15) and we're excited by that too. The Hondas? 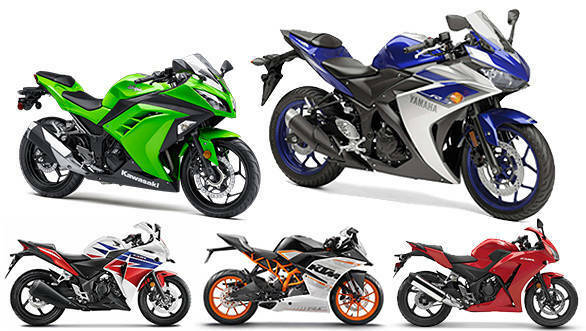 Well, compared to the other three, they're more sportstourers than sportsbike in engine performance. But that's not a bad place to go - the CBR250R makes for an extremely effective highway machine. With just a bit more power - so you cruise fast without being near the motorcycle's performance envelope - it'd be the best highway machine in India bar none. With its low seat height, long wheelbase and 140-section rear tyre, we are expecting the Yamaha to be light on its feet and agile. The KTM and the Ninja are too and where the KTM might have an advantage is in using better Metzeler rubber while the Yamaha uses an MRF Nylogrip Zapper FY upfront and a Zapper S at the rear. The Yamaha does not get ABS either. 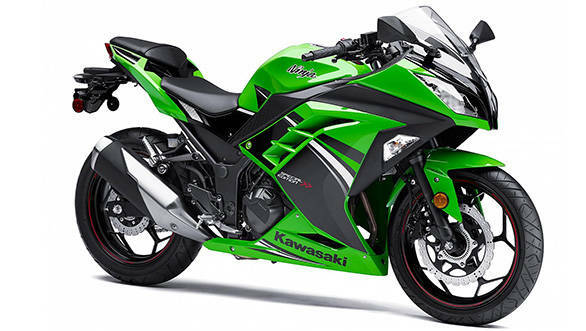 The RC has it as standard and we're not happy that Kawasaki continues to not offer it on their CKD models. Obviously this leads to a cost implication. Perhaps the biggest question mark is price. If Yamaha were to localise significantly and produce the R3 in India, the on-road price could be as low as Rs 3.2-3.5 lakh (The Yamaha is priced at Rs 3.25 lakh ex-Delhi). That too is a delicious price point where the addition of the extra cylinder, Yamaha's excellent product quality and the R3 performance will make it easy to buy. Obviously, for a manufacturer this is the harder road to take. It involves more effort and more initial cost. What is more likely is that Yamaha will follow the Ninja down the path of assembling from Thai-sourced kits. Which implies a price of around Rs 4-4.2 lakh on-road. At that price, having the KTM outperform the Yamaha comprehensively while being prices Rs 1.3 lakh-odd cheaper will turn the R3 owners into an expensive, exclusive club. The problem with that is simple. Like the Kawasaki Ninja 300 owners, this will be a very small group of people and many enthusiasts will have to continue to wait for an affordable small sportsbike. Or buy a KTM RC 390. Neither of which situations is good for Yamaha.